There’s a section of the smartphone market that has a range of low budget smartphones from different brands. These smartphones have a minimal number of features but still meets up with your basic smartphone needs. The Ulefone S8 belongs to this category and offers a decent amount of features including a fingerprint sensor. The Ulefone S8 smartphone is quite a good looking device with slim side bezels and we’ll rounded edges. It has an overall sold ergonomics with a metallic unibody design. This a device that doesn’t speak budget in its appearance in anyway which is a good thing because users will prefer the more close to a premium smartphone it is in terms of looks. However, you would have to stick with an HD display considering that the Ulefone S8 5.3-inch screen has a 1280 X 720 pixels resolution. This is not bad for a low budget smartphone dye to the price tag. There’s also a pixel density of 277 ppi and a decent viewing angle. We all know low budget smartphones and their mediocre battery right. The Ulefone S8 goes a bit above mediocre and ships with a 3, 000mAh non removable Li-Po battery. Which is more than enough for basic daily usage and also ships with a fast charge feature. A dual camera doesn’t necessarily mean you get a stellar image which is the case in this review. The dual 8MP + 0.3MP camera takes okay pictures when there’s enough light and is no where the pictures taking by high-end smartphones. Although, this is not bad for a budget smartphone that also features a 2MP front camera. There’s a minimal set up when it comes to the Ulefone S8 smartphone as the device sports a Quad-Core MediaTek MT6580 SoC. The processor clocks at 1.3GHzand it is accompanied by an ARM Mali-400 MP2 GPU. Although, this is certainly not a powerful SoC but it gets by the basic tasks smoothly. 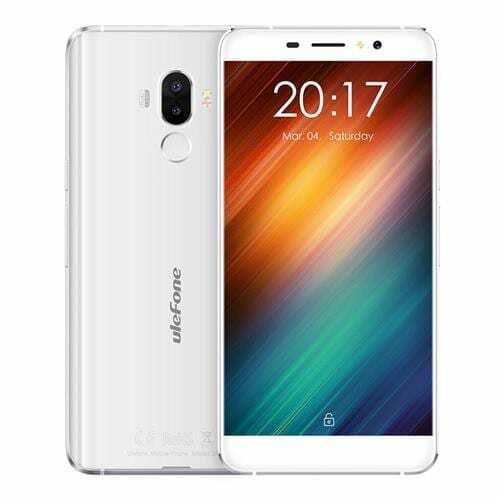 In addition, the Ulefone S8 has a 1GB RAM and a 16GB internal storage which can be extended to 32GB using a memory card. Ulefone S8 boots a custom Android 7.0 Nougat from the box. The Ulefone S8 smartphone is widely available for sale in some smartphone retail outlets and online stores. It’s price ranges from 24, 000 Naira to about 34, 000 Naira depending on your location and the deal he got.